Well it’s day seven and given the day is nearly dead in the UK of the fifth week daily challenges and the prompt for today from the Admiralty has yet to emerge, So I’m just going to have to go with Guessing. Yes I thinking the Admiralty is trying out our self-initiative skills test. “Ku Cliq, Buzz-click,” said Schick from her Science station. “You can’t say that Schick,” said Inulie from the Navigation station. “Well she did and I agree with our X/O,” said Kallachit from the Helm. “Kallachit, watch your station or watch the fishes on the view-screen,” said Jolene from the communication stations. “Buzz-click, kliq, click, scrape, kq, click,” said Schick. “CLICK, CIQ CLICK, CLICK-KLICK CQ!” Shouted Schick. “That is enough, I know it boring waiting for the ship’s internal pressure to equalize as we go down to the required depth to enter the Aquatic city but we will act with decor.” Said Captain Ha’rris. “No Kallachit, we won’t,” said Ha’rris. “Click click klic,” said Schick. “Okay takes us down the next five hundred fathoms then Kallachit,” order Ha’rris. “Executing now Captain,” said Kallachit. The bridge crew all watch on the view screen as the ship sunk deeper still into the alien ocean. “Click-click scrape buzz-kliq,” replied Schick. Inulie fingers flew over the console and the transparent screen darken as the rear view was projected over it showinga massive creature bearing down on the ship. “Shields up, charging weapons” said Kallachit. 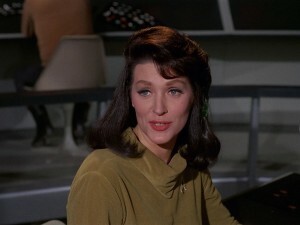 “I’m a starship Captain not a marine biologist so get one up here. 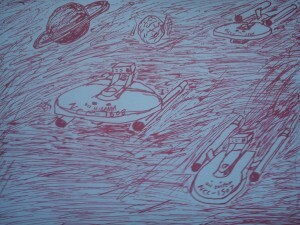 Kallachit if try to do that to the ship you have my permission to use the phasers to tell it shove off” Said Ha’rris. As always all your feedback comments are welcome. 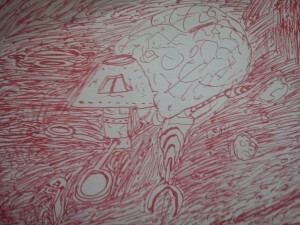 This entry was posted in Twelve Trials of Triskelion on June 21, 2014 by falsebill. Now why do I have a sinking feeling about this prompt from Admiral SL Walker? Sorry that is a lame joke. This does seem a negative prompt so I’m going to sink my teeth into it and try to produce an upbeat ficlet. Captain Ha’rris watched on the USS Excalibur view-screen as the ocean rush up to meet his descending ship. He tried to remain calm, as a Xindi – reptilian, the idea of taking his ship under a major planet ocean to retrieve a cargo container from a Xindi – Aquatic city just seemed wrong. The reason the Excalibur was about to enter this Ocean to retrieve the cargo was apparently the item wasn’t transporter safe. Plus it was supposedly to big for it to be shuttle up. 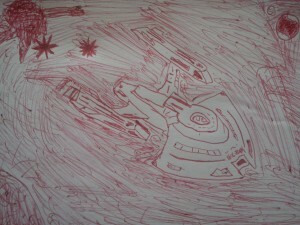 Ha’rris had a sinking feeling to match his ship as together they entered the ocean. Suddenly his Xindi – Insectoid Science Officer spoke up. “Click, Kliq, Ku Cliq, Click kquilk,” said Schick. “Good. Okay helm take us slowly down to five hundred fathoms” ordered Ha’rris. 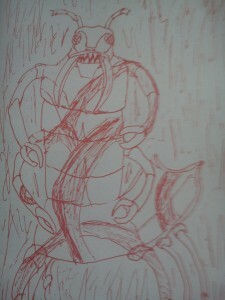 The Xindi-Sloth female quickly made the adjustments and the Excalibur sunk further into the dark ocean depths. “Yes Captain. 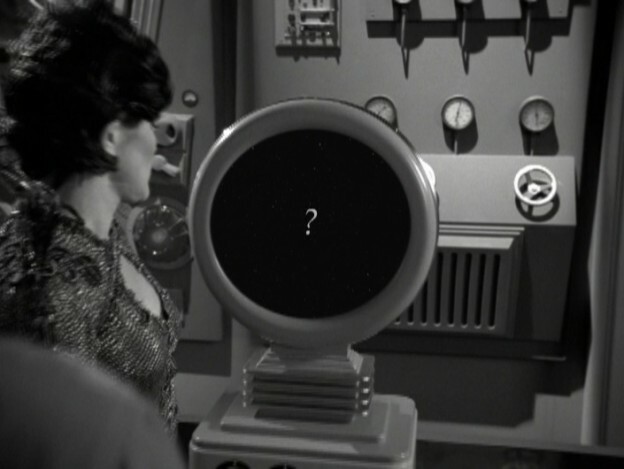 The navigation signal is being refer to helm,” replied Jolene. “Captain, I believe the safe path corridor is another seven hundred fathoms below us.” Said Lieutenant Kallachit. “Kliq, click cq buzz,” said Schick from her science station. “So we need to go deeper then. Okay neutralize forward motion, and take us down, but slowly, we don’t want to give any of the crew the bends now.” Said Ha’rris. And the long shadows help to show the ship was indeed slowly sinking. Go deeper and heading towards the Xindi – Aquatic City and the mysterious Cargo shipment. Pictures are from Trekcore, I do recommend that you go and visit there web-site if you every want anything trek. This entry was posted in Uncategorized on June 20, 2014 by falsebill. 1. Sweet but with a bitter aftertaste. 2. Pleasant but with a mixture of something sad or unpleasant. 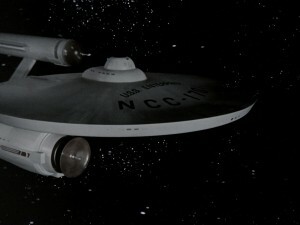 Well I’m sure all Trekkie are use to the bittersweet feeling from watching the last movie, as Star Trek into Darkness, watching the mishandle of the Khan storyline was quite sad and yet the international viewing figures and the number of new fans that the movie brought in to the old TOS is most pleasant. Or the Fate of Star Trek Enterprise after it best season ending on a below grade show and then the follow up books all ruined by the simple fact that authors for some reason can’t seem to accept that Trip died. For some reasons this prompt is starting to scream for a Naurr story, so after the cover picture from the captain table on the Ariane above it time to go over to Chef Naurr on the Ariane. Written DEITDJW as usual. Captain Douglas Gorrim was walked pass the ship’s mess hall and was greet by an wonderful aroma of cooked food, that was so strong his stomach rumbling divert him to go and investigate the source. He walked into the mess hall and was surprise to find it was full and yet the crew was all eating a strange color soup in silence. “Captain! Do you want word soup?” asked his Caitian chef from the door to the Kitchen. Despite his hunger, Douglas curiosity came first, so he asked. Said Douglas with a smile. “That is caring of you to say Captain, I offer you some soup but all the first ration has gone already.” Said Naurr. Naurr pull a face before answering. “I think after the firewater soup of last week, I can understand her having hesitation about trying it but I’m sure she appreciated the gesture if the not the soup,” Said Douglas. “If you think so, she said as much but she did quickly disappear with one of the new MACO Officers, so I’m not sure she like her salad either,” replied Naurr. “Naurr I think your food had nothing to do with that, don’t worry, you’ll see her at breakfast,” said Douglas. “O good I doing one of her other favorite Ravioli for breakfast,” said Naurr. Seeing Naurr smile Douglas didn’t have the heart to suggest anything different for breakfast to his alien friend. This entry was posted in Twelve Trials of Triskelion on June 18, 2014 by falsebill. Now when I think Red, I don’t think Red-shirts but Captain Lily Lallason nee Fitzroy or one of her daughter and a cute story did start to form in my head but it would take longer than a day to write and so I had to park that idea. 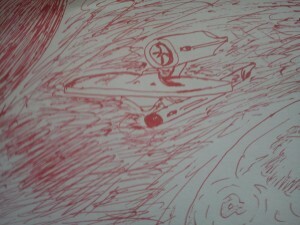 So I did a doodle with red pen, seeking inspiration and somehow a copy of red pen trek art start to came together, so I’ll decide to post them below with a little story paragraph ala the style of Star Trek Ship of the Line art books/calendars. Investigating a red star deep in a nebula Captain Lily Fitzroy discovered a small planet and the Federation first direct discovery of the ruins of the ancient Promellian interstellar civilisation. In 2260 the Federation trialed three new ships class that would later form the backbone of the border dogs for the next half century. 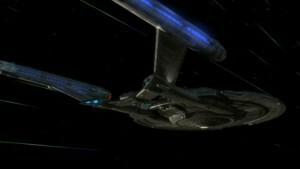 While the USS Tabard and USS Kniper were good servants of the Federation, the USS Miranda and all her later sisters remain in active service till the end of the Dominion War. Under Captain Xenktid command the Nova Class USS Hurricane, went from science ship to photon torpedo boat leading to the USS Hurricane becoming one of the Galor Class Killer during the Dominion War. 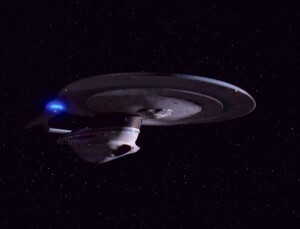 The Federation Star Base USS Ganges was originally Deep Space One and was different from other early Starfleet bases by being built on top of an abandon alien Starbase on a mini moon. 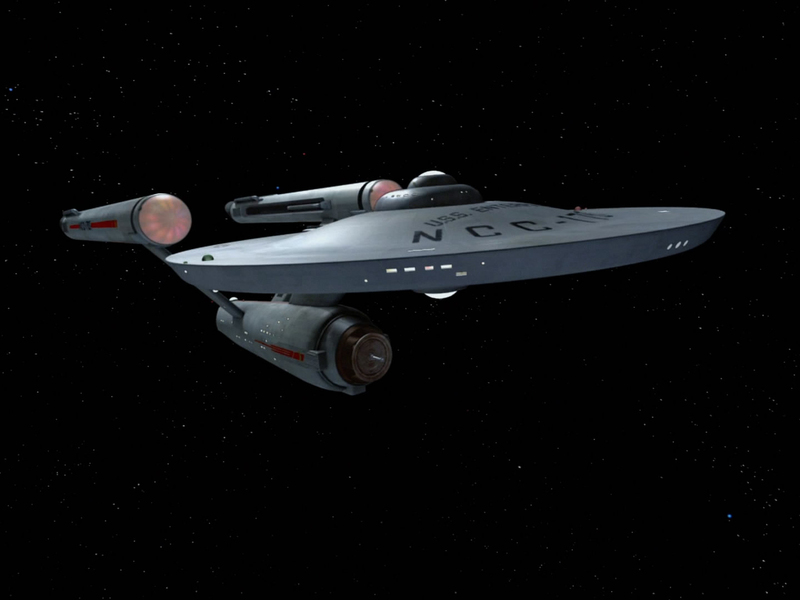 As the Federation expanded, it was re-name USS Ganges and even in the 24th Century remain a vital way-point in the Federation. The Starfleet Xeno – biologists have stilled to confirm if this is indeed a rare picture of Chilo alien or just one of their servant race. Well I hope you enjoyed some FalseBill Art and mini stories. 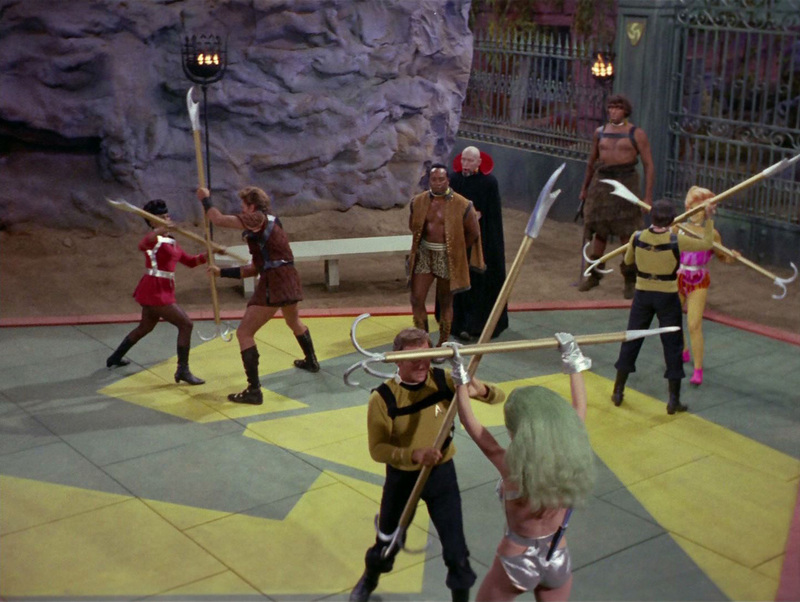 The Twelve Trials of Triskelion Pictures is from Trekcore while the rest of pictures are as actually mine! 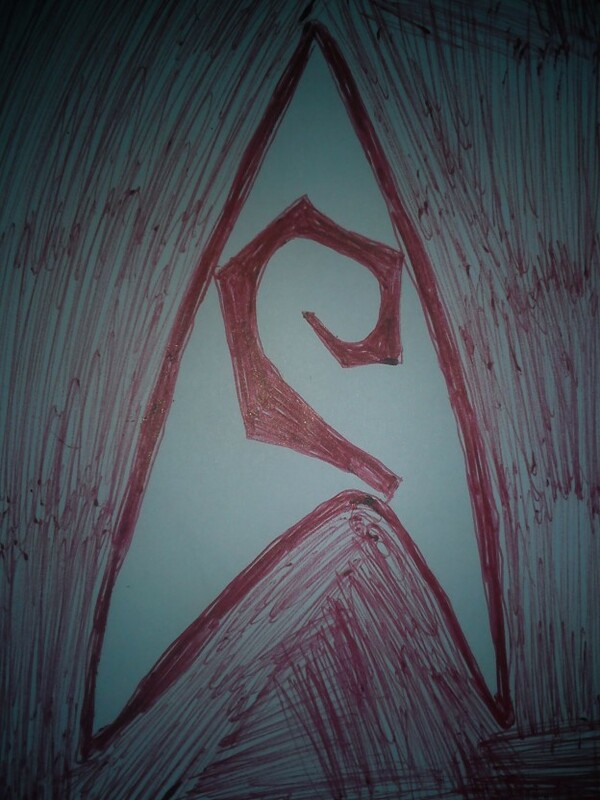 This entry was posted in Twelve Trials of Triskelion on June 16, 2014 by falsebill. 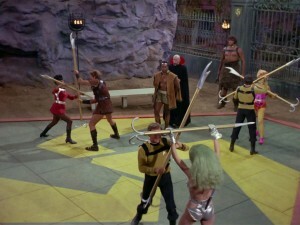 Well then in the beginning phase takes me back to The Original Series and that starts with The Cage and the Pike Era. 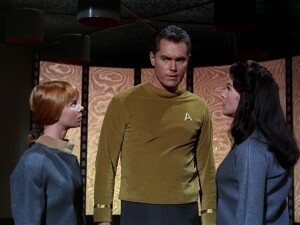 This is one of the strange mysteries and great what if moments of Trek lore the Missing era of Christopher Pike, as seen just in “The Cage” and revisited in “The Menagerie”. I always kind of hope that we would get more books set in this Era, but sadly we seem to only get the rare gem and they usually seem to be Spock-centric. Thought i can point to some good work on Ad Astra especially by SLWalker. In truth for me we don’t get to see a lot of the Pike/No.1/Yeoman Colt Trinity, which I think had so much potential. So to end this blog here is a short Don’t Edit IT To Death Just Write (DEITDJW) piece from the Pike Era (hence the grammar and spelling errors). Pike pick up his queens bishop and then move it up to attack level two. His opponent his X/O the cool and efficient women know by everybody as Number One just raised her eyebrows in minor surprise at the move. She studied the 3D Chessboard again and moved her index finger up to her lips. “Number One, don’t pretend that you didn’t see that move coming,” said Pike as he sipped his coffee. She pick up her Rook and move it from level one to level three. “Check, no I was expecting a better move from you,” replied Number One as she picked up her tea for a sip. “I believe the captain is paraphrasing the famous ‘Et tu Brute’ Earth play called Julius Caesar” said Spock from his observing position over Number One shoulder. “I’m sure Number One know that Lieutenant Spock, I expect she was trying to obtain the context,” sad Yeoman Colt from her position over the Captain shoulder. “Of course Captain,” said Number One. “Of Course Lieutenant, what do you wish to know?” answer Number One. 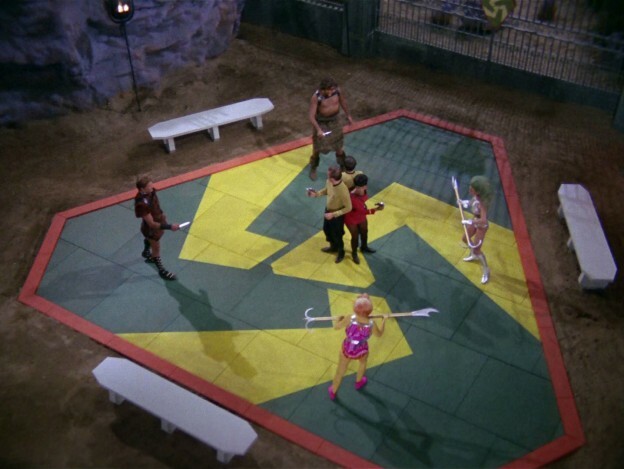 “Why you let the Captain win?” said Spock. “O you notice that? Well because after Talos four, he seem to be suffering from doubts, and that is the last thing we need from our Captain, therefore allowing him to think he best me, should restore his confidence in himself,” answer Number One. “Another risky strategy, but I find you logic sound, now may I offer you a proper game?” asked Spock. 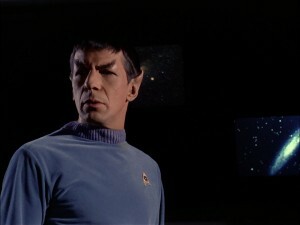 Number One showed a rare smiled “Of course Spock,” answer Number One. So there we go. Hope you enjoy that little slice from the beginnings or at least saw why I don’t do the Pike Era more myself. as yes i didn’t go into the Trinity as far as I like but isn’t that always the way? 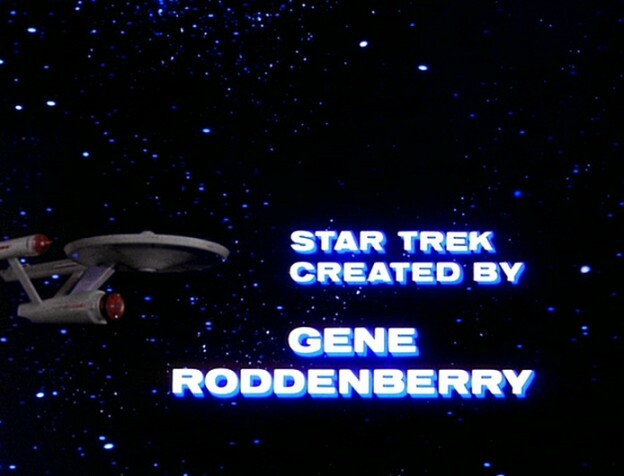 Anyway pictures are as always courtesy of Trekcore. 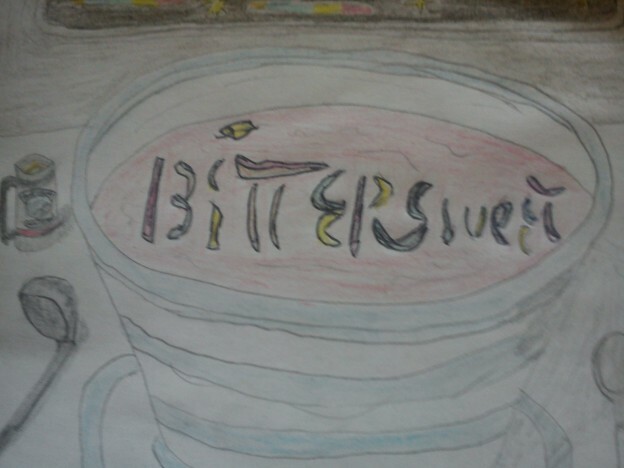 This entry was posted in Twelve Trials of Triskelion on June 15, 2014 by falsebill.